Hey Walt, are Imagineers out of ideas? 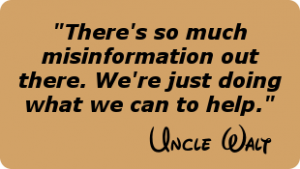 “Ask Uncle Walt” is a regular feature of Uncle Walt’s Insider: you ask, Uncle Walt answers! People from all over the world spend millions of dollars annually to visit the Disney Parks and Resorts. Many are looking for an escape from reality, and just want to have some good ole fashioned family fun. One of their favorite pasttimes is to meet their childhood heroes: Mickey Mouse, Donald Duck, Goofy, Gaston, or Ensign Garland. You see, without the aid of the movies, these classic characters would be meaningless. They need a back story, so kids and adults alike need to see them interact on the big screen! When it comes to characters, originality starts back at the studios. Now, I assume you are talking about the parks and the newest lands and attractions coming out. In a way, yes, Imagineering is out of original ideas. I mean, come on, Slinky Dog as a rollercoaster? Who HASN’T done that? Star Wars Land? You only need to look at the absolute failure of Harry Potter Land to know that is going to be a dud. Pandora is pretty cool, though. Everyone knows Avatar, it is a time honored classic. Who doesn’t enjoy killing 2 hours and 42 minutes on a weekend with this movie? It has everything: action, adventure, romance! You see, we’ve tried to bring back originality. Back in 1995 the ExtraTERRORestrial Alien Encounter opened up. Adults loved it! Scared the kids off though. So it wasn’t much fun for families, unless you’re like my Uncle Robert who found great joy in scaring us youngsters. So we dug into the archives and found that kids love Stitch, so why not bring him into Tomorrowland? Well, that plan backfired. Kids loved it, but it scared off the adults, once again breaking the family dynamic. People say to me all of the time, why can’t Imagineering come up with something original? The truth is, none of it was original. The Disneyland Railroad? War movies! Big Thunder Mountain Railroad? The Apple Dumpling Gang! Space Mountain? The Black Hole! Pirates of the Caribbean? Pirates of the Caribbean! You see, every attraction has a story, and it started in the studios. Are Imagineers out of ideas? No, they aren’t. They come up with creative ways to bring movies into our lives. 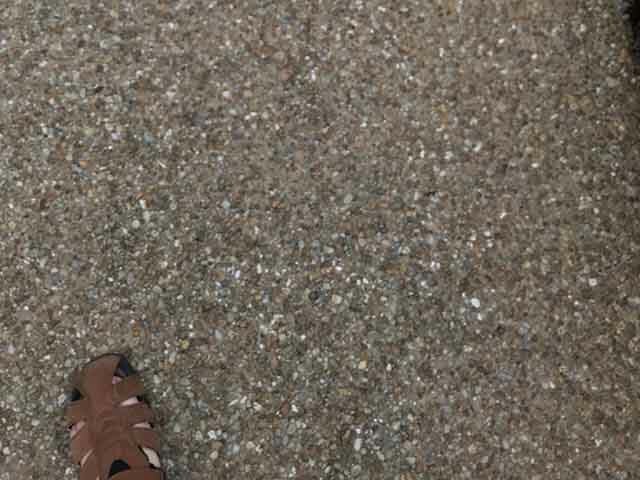 To immerse you into the tiniest of details, from the time you step under the 240-minute wait sign until the time you walk into the gift shop. It is all designed to bring you into the world of yesterday, tomorrow, and fantasy! Got a question for Uncle Walt? Photo credit for the cover photo goes here, 8pt font italic, with Creative Commons or other license to use if not public domain/CC0.